Hey, everyone! 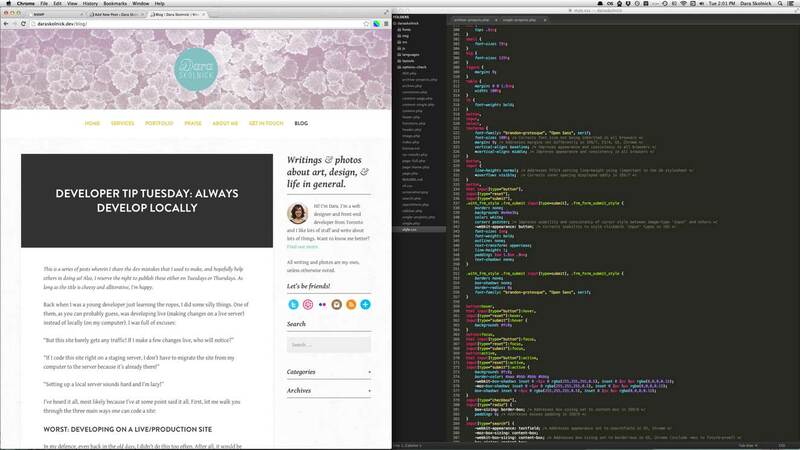 After getting lots of positive feedback on our Design to Code column concept last week (thanks! we really appreciate it! ), we’re excited to be posting our first installment this week! We decided to start with the very basics and talk typography, beginning with serif versus sans serif fonts (plus some other basics about how to embed fonts and where to find them, so if you’re a beginner, this one will be perfect for you). This one is posted over on Alicia’s blog, so check it out! 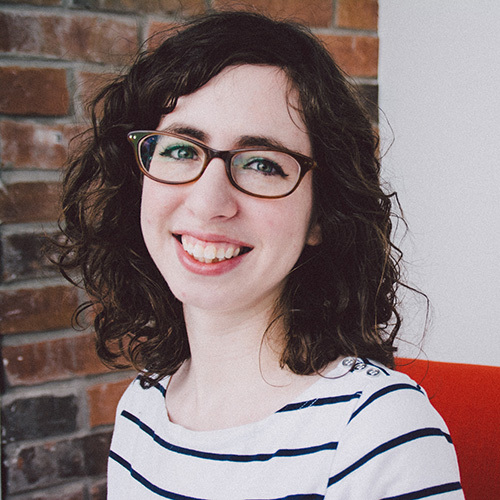 I’m excited to announce that I’ll be collaborating with awesome graphic + web designer Alicia Carvalho on a new blog column called Design to Code. Every few weeks, Alicia will teach you about a design term and some related tips, tricks or resources, and then I’ll tell you how this design concept can be applied on the web. We’ll be taking turns posting the column on our blogs, so make sure to follow both Alicia’s blog and mine to get each instalment and learn how to improve your designs and apply your new skills to your own website! At last! The very long-awaited (oops) sequel to my previous post about why it’s so important to develop websites locally. In my first post I gave you the theory, and in this one I’ll give you some more practical information. As you’ve probably already figured out, WordPress is written in PHP, which is a server-side language. This means that the website has to communicate with a server in order to display the pages, unlike a static HTML website. WordPress, like most content management systems, separates the site’s structure (which is PHP-based) from its content (which is stored in a MySQL database). The server is what brings the two together, and this is why you need a server with PHP and MySQL to run WordPress. I personally run my local servers by using a program called MAMP. The WordPress Codex (aka your new best friend) has a good article about how to set up WordPress with MAMP. If you’re not using a Mac, you can use XAMPP for Windows, which works similarly. 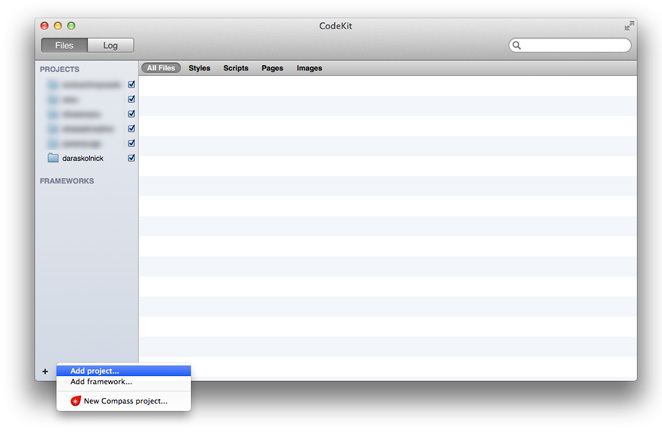 If the Codex is a little too dry and/or confusing, there’s a great screencast over at CSS Tricks on this very topic! Essentially, MAMP (or XAMPP or one of the other alternatives) sets up Apache, MySQL and PHP on your computer, which lets you run a local server that you can access, but that isn’t online for everyone else to see. One drawback of the free version MAMP is that you can only have one local server running at once, and its address is always localhost:8888, which can be fairly limiting, especially if you’ve taken on multiple projects at once (story of my life). 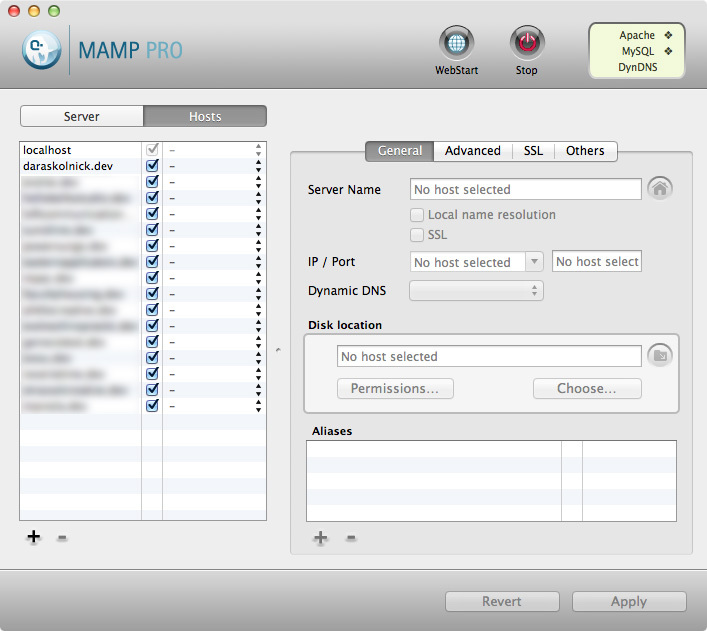 If you’re going to be developing locally a lot, I’d recommend shelling out for MAMP Pro, which lets you run an unlimited number of local servers and name them whatever you want. I use MAMP Pro, and all of my local sites are named [sitename].dev. These local URLs are really easy to remember, and way sexier than localhost:8888… am I right? Edit! Thanks to @Wordius on Twitter for reminding me that even in regular (free) MAMP, you can have an unlimited number of sites — they’ll all just reside at http://localhost:8888/[insertsitenamehere]. I prefer having separate local domains for each installation for a variety of reasons, but it’s not entirely necessary, especially if you’re just starting out. This is my MAMP screen, and to the left are the zillions of local installations I have set up right now (including a local version of my own website, where I test all of my changes first before they go live). And no, I’m not working on them all at once! I might be crazy, but not thaaaat crazy. I’ve recently heard of another (free) program called AMPPS that provides similar functionality to MAMP. I haven’t tried it myself, but it may be worth looking into. If you’ve used it, let me know what you think! As I mentioned in my previous post, one of the biggest advantages of coding locally is being able to use a nice text editor with syntax highlighting to do your work (as opposed to the horrors of the WordPress built-in editor), which lets you easily undo any catastrophic changes that you may or may not make. The best part about developing locally is that you’re never breaking anything that anyone else will see. It’s pretty nice when you take that pressure off yourself! My current editor of choice is Sublime Text, which I’ve been using for about a year now, and it’s a real pleasure now that I’m used to it. I appreciate that it gets out of the way and lets me code in peace, but also has a ton of useful functionality under the hood. Before using Sublime Text I was a huge fan of Espresso, which has a really beautiful, friendly interface and some nice extra CSS features, like a built-in gradient generator. I only switched away from Espresso because I was doing a bunch of work with Sass and Haml, which Espresso didn’t support very well. You snooze, you lose, Espresso! This scaled-down image doesn’t convey the majestic nature of having a 27″ display. What is this, a display for ants? Okay, that’s cool, but now how do I get my local site on a real server? Glad you asked! Since this post is nearly 1000 words at this point (! ), it’s probably best to save that for another time instead of putting you to sleep by continuing this epic saga. In the meantime, I’ll refer you to another very helpful screencast at CSS Tricks that will walk you through this process. What this video shows is basically what I do (though I think I do a couple of things more efficiently) so definitely take a look and see if that helps you. Want more articles like this? Get ’em in your inbox! Writings & photos about art, design, & life in general. Hi! I'm Dara. I’m a web designer and front-end developer from Toronto and I like lots of stuff and write about lots of things. Want to know me better? Find out more. All writing and photos are my own, unless otherwise noted. You made it to the end! High Five!